An integral challenge for global industry leaders of open platform IP video management solutions for education markets is the capability to provide streaming solutions which seamlessly integrate between existing video management systems (VMS) and the latest advances in high definition equipment. For service providers, lecture recording and streaming services require the capability to monitor and store video feeds along with the make use of advanced high definition camera infrastructure. Deciding on the right answer requires finding a solution that fully supports the integration of full high definition (FHD) devices and existing VMS architecture; facets which are equally important for the delivery of lecture recording and streaming services. 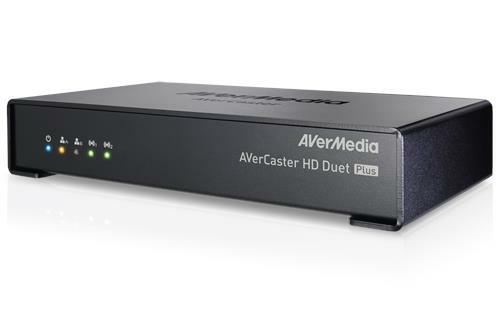 AverMedia’s HD Duet Plus F239+ is well suited to answer both integration needs and uniquely qualifies as the practical solution for recording and streaming of high quality FHD video for education video streaming. The F239+ provides the integration necessary to merge the new technical investment in high definition camera equipment without the requirement to obtain an additional VMS platform. By maintaining the use of an already established management platform, service providers can benefit from an already standardized VMS, continuous operations with zero downtime deployment, and increase their broadband of services without significant technological risks. Lecture recording and streaming solution providers targeting the education field have benefitted from the full use of the AVerCaster HD Duet Plus F239+ and its dual channel video encoding capabilities. Without the need to replace existing VMS, service providers profit on multiple levels by maintaining the use of an established software platform for the monitoring and storage of media assets. In as much as the F239+ has benefitted the management platform, its powerful dual H.264 codec and Gigabit Ethernet technology fully completes the lecture recording and streaming solution by allowing service providers to increase their service portfolio and facilitate the simultaneous live broadcasting of dual independent video streams (Full HD) without the significant cost of additional hardware.